I spoke with a woman about her dream venture. She was excited about the idea of making her service available to the market. After asking her some details, I noticed that she had a decent idea for a business but it would take some work to really vet out the idea and bring it to market in the manner she wanted. What began as a light conversation had now become serious. I looked her in her eyes and asked her what her first step was. She hesitated before spouting a bunch of steps she knew had to happen. I stopped her as she began rattling off the ideas she foresaw as necessary. “What’s the most important first step?” I asked. She paused before answering. “I think the most important first step is getting the system together,” she began. “But, I also need to…” I stopped her again. 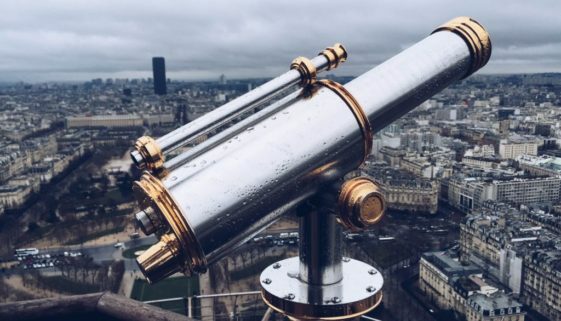 As visionaries & creatives, entrepreneurs tend to look at the next big idea more often than is necessary. They want to work on ideas E,F, & G without giving ample time and resources to A. But, if A is the main thang, it should remain the main thang until it isn’t: through completion or pivot. All of the other ideas may be sound and necessary but they are not A. They are not the next step. The problem with focusing on E,F & G is they distract and diffuse energy. Distracted energy is wasted energy. Diffused energy is weak energy. If you are to succeed, you want to be neither. Opt for focused energy. Get that thing done that is most important to moving forward. And, continue in that manner so that nothing becomes urgent. Urgency should be a tool that you use on yourself not something that is thrust into your arms like a crying baby with a dirty diaper. Ya see, motivation is triggered through urgency. Depending on the individual, urgency triggers flight or flight because it creates tension and anxiety. How much of each depends on the situation and the person. Yet, the resulting reaction in the body is the same: adrenaline rush. That equation is one to remember. It is the reason your boss tells you to move with a sense of urgency. They want you to get it done NOW! Do you crack the whip on yourself, though? Most people don’t. They have been conditioned to rely on their masters… oops… bosses to do that for them. In the entrepreneurial space, you are your own master and slave. You decide what you will tell yourself to do. I had a training with a company that wanted to teach people how to lead. They taught us a simple strategy. As our team members achieved a task, we were to talk to them about What’s Important Next. In order for our team member to WIN, they had to know “what’s important next”. Eventually, team members became leaders. They were trained on the same ;philosophy but with an additional thought. New leaders were to begin asking themselves as well as their team members “what’s important next”. That is an important question (and why I keep repeating it). One thing is certain… the master always knows what the slave needs to do next. It’s that clarity that helps get things done. It’s that same clarity that will help you get your work done. All it takes is knowing your next step. I loved Legos as a child. (Who am I kidding? 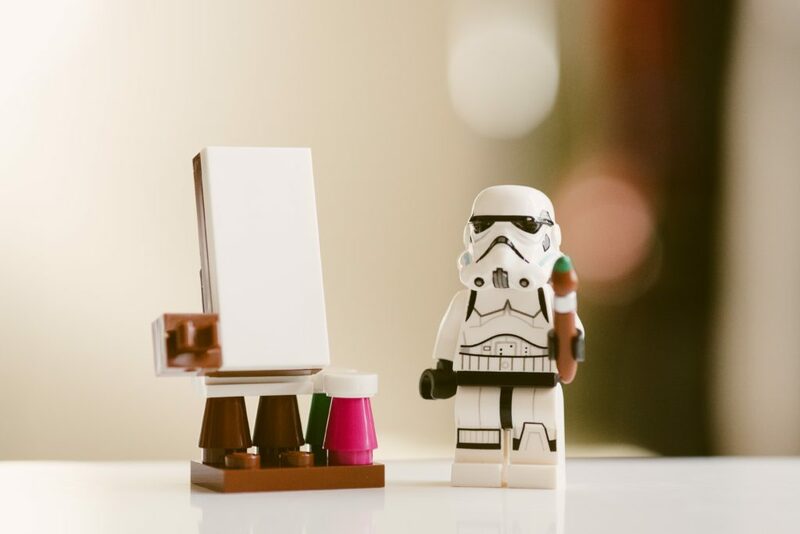 I still love Legos!) I wasn’t always good at creating large models out of my pieces. I built small things. In my pre-teens, I received my first model Lego set. I spent the evening putting it together. The box contained packets and an instruction booklet. I dumped out all of the packets into small piles, flipped through the booklet, and turned to page one. I couldn’t build the model without step one. If I’d begun at step 42, it would not have worked. Maybe it would have worked if I started at two or three… maybe. Eventually, I would have had to return to step one an do those things. Life Is More Complicated Than A Model Lego Set (and mostly more fun). Missing pieces mess up the end product. And, no one likes a model that cannot be finished. What’s Important Next (WIN) is the gameplan. Urgency is the game clock. Start Now! If you know you’d like to eliminate excuses from your vocabulary and you need some help getting to that next level in your life or business, go to bit.ly/30withfortune for a complimentary, 30-minute call with me. Together we’ll create a plan for your next step. When I was run over by a car, I realized that God really was a part of my life and He’d been healing and mending my life all along. When I went to jail, I realized that I could free myself from my own internal prisons. When I was in active addiction, I realized that I had more to offer the world than what I was doing. When my daughter’s mother left, I realized that I could be a father and a man. 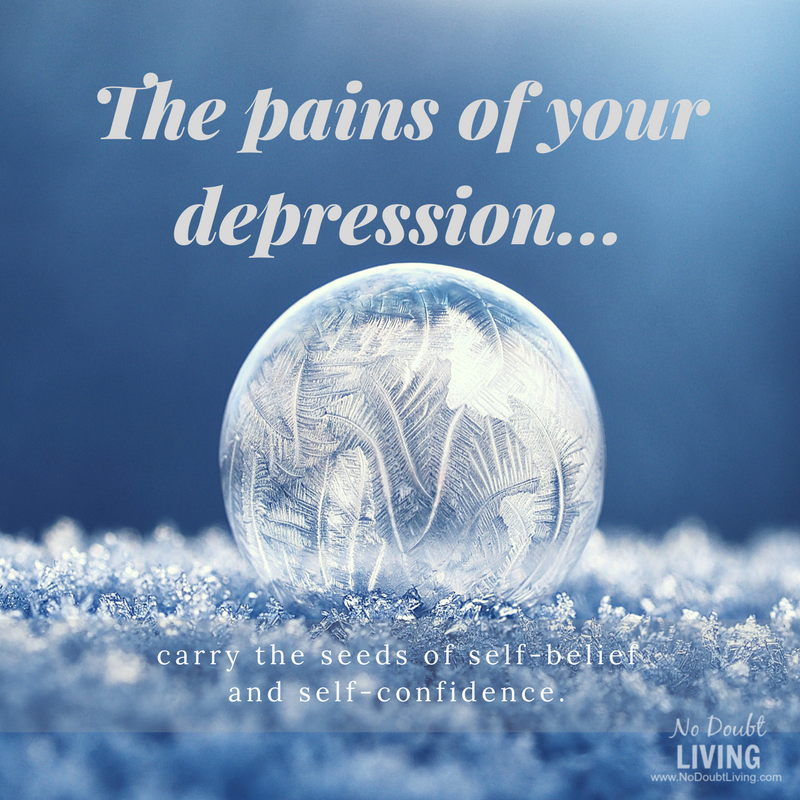 The pain of depression carried seeds of self-belief and self-confidence. The pain of losing my fiancée at 20 years old taught me that, like most men, I can’t handle that mess. LOL. Real talk. Women are stronger than men in that area. Here’s an interesting study I came across. WARNING: If you have a problem with experiments that involve animals, then be forewarned. The Skinner Box was designed by B.F. Skinner in the 1930’s. His intent was to create a conditioning chamber to learn more about behavior as it relates to pain and pleasure. The Skinner Box had a lever inside that delivered either a reinforcing stimulus or punishing stimulus when pressed. Animals placed in the cage learned how to push the lever to receive these stimuli. Two decades later, psychologists James Olds and Peter Milner made some adjustments to the Skinner Box. They decided to insert electrodes into animals’ brains creating a direct stimulus that bypassed sensory experiences. Their study revealed a pleasure center in the brain that was more powerful than the desire for food, water, or mating. It identifies what happens when the pleasure center is touched repeatedly. That repeated stimulation, when accompanied by readily available access to the stimulant, makes it likely that the behavior connected to the stimulation will be repeated. Some rats in the experiment pushed the lever 1,000s of times per hour! Anyhoo, back to the human ‘guinea pigs’… I mean volunteers. In experiments with a male participant and later a female participant, the results were similar to that of the rats. Human participants were connected to a machine that delivered stimulation to the pleasure center in their brains. Participants were drawn to the machine for repeated doses of stimulation even when they were trying not to jack up their dopamine. Kinda explains why driven people will start working on their passion project and forget to eat, drink, or think about their significant others. They can get so consumed by the pleasure of working on something that’s meaningful to them that they neglect their basic necessities. Why do so many people wallow in their own painful memories and resentments instead of seeking ways to feel good? Why do entrepreneurs hesitate to act on their ideas and share their products and services with the market when they enjoy the benefits of being paid and being of service? What I’ve noticed is that people don’t know what ‘new’ will feel and look like. They settle for the known because of their uncertainty. A similar thing happens with entrepreneurs. They know they have good product or service and that it will serve the market but they don’t want to suffer the embarrassment of being rejected. They have created an idea of what that supposed rejection will look like that supersedes the idea of being met with open wallets. Their answer is to do nothing. The answer in both cases is a belief check. Working in a network marketing company, I learned the power of getting new members paid quickly. In this particular company, I was told to try to get the newbie paid within a week. The idea was that the energy of the new opportunity combined with the immediate gratification from receiving money within a week set the newbie on fire for the company. Often, that’s all that is needed to get the newbie motivated to share and share the opportunity with their list. And, more importantly, teach the newbie to do the same with their new sign ups. Get them a belief check as soon as possible. There’s nothing like having money in your hand. It says, “They believe.” It’s one of the reasons that many business owners keep the first dollar that they earn. It’s a reminder of that first person that said yes to their offer. If you’re looking for a way to motivate yourself (don’t worry I’m not about to pitch you on some MLM), try this approach. Go find someone to buy your first product. Start with your inner circle and spread out from there. Of course, there may be times when you cannot take a small step towards your dreams because your next step is a big one. The only thing that I can say for you is “Go for it!” Your next level is just an attitude, a belief, and a commitment away. You only have to decide to work on them and you’ll see that you’ve had the power within you all along. (I’m willing to bet that you already know that you have the power. You need a way of tapping into is on a regular basis. Here’s where you go to get that stimulation: www.NoDoubtLiving.com/potential Jump into the exercises, start rewiring your brain, and start living out your mission. Some of the most interesting and frustrating conversations that I have had are with a friend from an old job. We became friends over the course of working together and through our conversations as I drove him home at the end of the night. He seemed to always have questions about God and he could work on his relationship with Him. The difficult thing was that he didn’t necessarily want to hear what I had to say… but he did. Ya see, my beliefs about God are strong. I know how good He has been to me and have no hesitation about expressing them when prompted. I don’t know everything about Him and I don’t profess to. I speak from my experience. So, when my friend asks me for my opinion or perspective, I give it to him. “I AM trying to help you,” I yell. “But, I can’t do it for you. You can’t say you want to stop drinking and smoking and then when I call you to show you a way to change your life your response is ‘Sorry, I forgot. I’ve been drinking and smoking all afternoon.’ Do you realize how idiotic you sound?” I was getting heated. “You’re not f-ed up! You just don’t want what you say you do more than you want to drink and smoke.” I took a breath to release the tension in my hands. I tell myself: That was a good point. That should work. The conversation, as I said, went on like that for about 45-minutes. Up and down. Up and down. That’s what my emotions were doing. Up and down. He was calm the entire time. I even think he laughed at some point as if it was a joke. That was one conversation. The other conversation was much different. Well, the subject was different but my friend’s behavior was the same. He was drunk and smoking again. This time I was at home. I’d called him to check on him. I don’t believe we were working at the same job anymore but, I’d call him periodically, and still do, just to make sure he’s not living on the street somewhere. I really want to help him but as you can see from the first conversation, that’s difficult to do. It’s not because he cannot change. Any person can change. It’s because he hasn’t committed to the change. Anyway, this conversation happened late in the evening. I was actually in bed reading when the thought occurred that I should call and check on him. What started as a friendly call quickly turned into a discussion on free will. He stated that free will is an illusion. Okay, that’s your perspective. But, then he said, “Isn’t it?” In my head, that meant that I was to give him my perspective and he was supposed to listen. So, I gave him my perspective. He follows up with some comments that I couldn’t believe that even he could conjure. I’m not going into his exact words but they can be summed up as free will isn’t free will if everything that I do is either going to get me into Heaven or not and if forgiveness of my sins is as easy as asking for it then what’s to stop me from acting a fool (he was very specific in what acting a fool looked like) and then ask for forgiveness and all was good. I was totally frustrated at this point. I had stupid stuck all over me. I’d fallen for that trap again… because I care about him. I even felt bad about letting him upset me. Now, I want to see him prosper. He has a good heart and has experienced a lot of craziness in his life. A lot of it was self-imposed. That’s true for most of you. 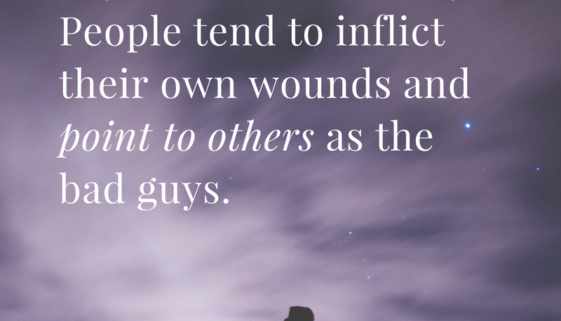 We tend to inflict our own wounds and point to others as the bad guys. Your decisions are your decisions. Your future is predicated on your decisions. Other things influence your life but you still make decisions all day long that determine where you’ll end up at the end of the day. 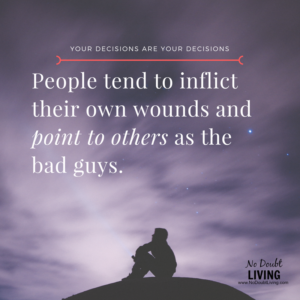 The nature of free will is such that when presented with a incident in life – whether opportunity or opposition – we are afforded a chance to make a decision. It is in these moments that we move towards or away from grace. Standing still we allow outside forces to influence our course. But, in moving we determine the next incident. Awareness of this fact of life brings to light the responsibility for which we have been given: to determine our destiny. No, we don’t control everything that happen. We do control how we think and, thus, how we act. Will you make decisions today that allow you to go to bed excited about the next day and satisfied with the progress that you made? If you’re still saying that you want something new but still relying on old behaviors to get you something new, I don’t know what to say to you but stop it. You’re not a fool. Stop acting like one. If you’re tired of hitting your head on the same brick walls, then turn around. Try a new direction. And, if you really don’t like what you get, you can always go back to that brick wall. If, on the other hand, you want to embrace the new direction that your life is headed – and I know that because you’re listening to this – then head over www.NoDoubtLiving.com/potential and grab the manual I have there for stepping into your Unlimited Potential. Actually, that’s the title of the book. Get it and get to work… on yourself.